Sheri Mae Designs: how much does project life cost to do digitally? how much does project life cost to do digitally? As I was surfing google reader and catching up on all the recent bloggers that I follow, I came across The Mom Creative blog post about the price to do Project Life. Love her Project Life Tuesday's!! 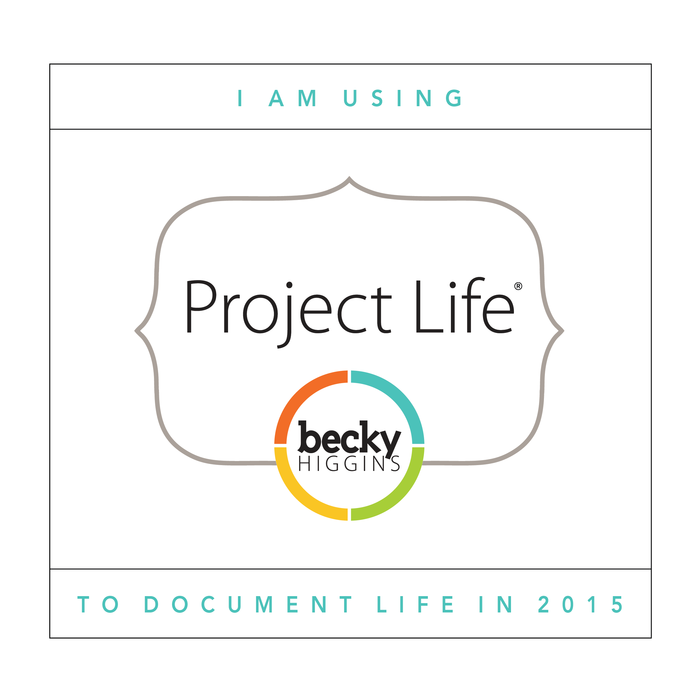 I thought, hmmmm...I wonder how much it really does cost to do Project Life digitally? I have a rough idea how much it costs for me, but wondered in general the overall price. Jessica broke down the cost to do it the paper way using a core kit, printing your photos, page protectors and a couple albums. Templates at AC Digitals: $15.99 This gives you all the current templates that are available. But if you only wanted Template A, it's $1.99. Program: you will need a photo editing program, like Photoshop Elements, which you can buy for just under $100. Printing: anywhere from $100 to $200. This depends on how you print...see below for further explanation. One of the many great benefits to doing Project Life digitally is you only need to buy a core kit and the templates once! No need to buy more, because you'll never run out of journaling cards! There will always be extras to add! Even if it's just a date stamp or a word brush, you're bound to add something extra to your pages! And when it comes to the digital world, the possibilities are endless! A lot of people who do PL the paper way even use digital elements, like word brushes, etc on their photos before printing! You can go crazy with buying stuff or you can be very basic and just buy a couple items. I won't include a price for the extras, because that will change for each person, but just know that you will need to take that into consideration when deciding if digital is for you. I am also not including the cost to buy a photo editing program. Most people already have one, but if you don't then you will need to consider that cost as well. I use Photoshop Elements and love it! You can get it for less than $100. When it comes to printing your final pages, you have a few options. I am going to cover two of those options. I think they are pretty much the only options, but maybe someone has a different way of doing things that I am not aware of. If you want one book that is small and doesn't take up a lot of room, then printing your layouts in a photo book is probably your best option. Or maybe you want to print a couple copies to give to your children, then a photo book is the way to go. the paper and the amount of pages. What you select affects the final price. If you want better paper or a hardcover book with the image printed on it, that costs extra. If a photo book is not for you, then you can print your pages and put into page protectors. Some people like this option because it allows them the ability to add additional inserts. Although, you can easily do extra pages in your photo book, you just wouldn't get that overlapping look like you would if you use Design A and Design H together. Or if you like to include extra stuff, like kids artwork and you would rather include the original instead of a scanned copy, then maybe this route is better suited for you. plus a couple albums to put them in. For me, I have always printed my weekly layouts in a photo book through Blurb.com. There are many places that print photo books, this is not the only place, but for me, I have printed two books this way and I've been very satisfied. I like having a small book that doesn't take up a lot of room. Mind you, I do have large 12x12 albums for my other scrapbooking, so for me having the small yearly books is nice. approx. number of page for me is around 131 pages. This includes a title page (1), dedication pages (2), monthly title pages (24) and weekly layouts (52 weeks x 2 page spread = 104) = approx. 131 pages. printing of individual weekly layouts (with no extra pages, just your weekly layouts) at Persnickety Prints (with no discount) would be 104 x $1.99 = $206.96 Obviously, we all know they have a print sale a couple times a year, where you can get a 12x12 printed for 1.49, sometimes less. Or if you have a wide-format printer, then you can print your own layouts at home! There are other options beside Persnickety Prints, but since I love their quality and use them personally, I am including their price for printing a 12x12. 1 package of 12x12 page protectors (60 in a package, you might need more) = $29.99 US This price is at Amazon, but since I am Canadian, I have to add that at Scrapbook Inner Circle, the price is $24.99 CDN. additional inserts = this can range depending on how many and what inserts you want, but if you just select the photo pocket pages small variety, it's 6.99 US and 9.99 CDN. 2 albums (you might not need 2, but if you include inserts, it might be hard to get it all in one album) = $19.99 x 2 = $40 This is the price for a Project Life album on Amazon. Obviously, there are other options, but this gives you an idea. I calculated everything as it's priced right now, without any coupons/discounts, etc. My prices aren't exact and don't include any additional costs, like taxes or shipping. But I think this gives you a good idea of the cost involved. Although, I am not sure you can really put a price on documenting memories! I truly believe it's one of those things in life that is PRICELESS! But that doesn't mean you have to buy a bunch of stuff to preserve your memories! If you can't afford to do it the Project Life way right now, the important thing to remember is to take the pictures and write the stories! You might not be able to afford to do anything with those memories right now, but when you can, you'll at least have the memories there to preserve!! Because really that's what scrapbooking is all about...preserving memories! I hope this helps those who have wondered if digital is more cost effective for them. If anyone has done things different or has worked this out financially and has come to extremely different amounts then what I have, please post a comment, I would love to hear from you. Regardless of the route you go, do what makes sense for you and do it because you want to preserve your family memories! Thanks Sheri, this was really helpful, have you been happy with the blurb quality ? In Australia I am considering getting books printed overseas as we don't have much available here that's a good price & good quality. Very helpful! I was thinking of doing it digitally this year, but didn't. Though I do purchase digital kits. Thanks for sharing the info!